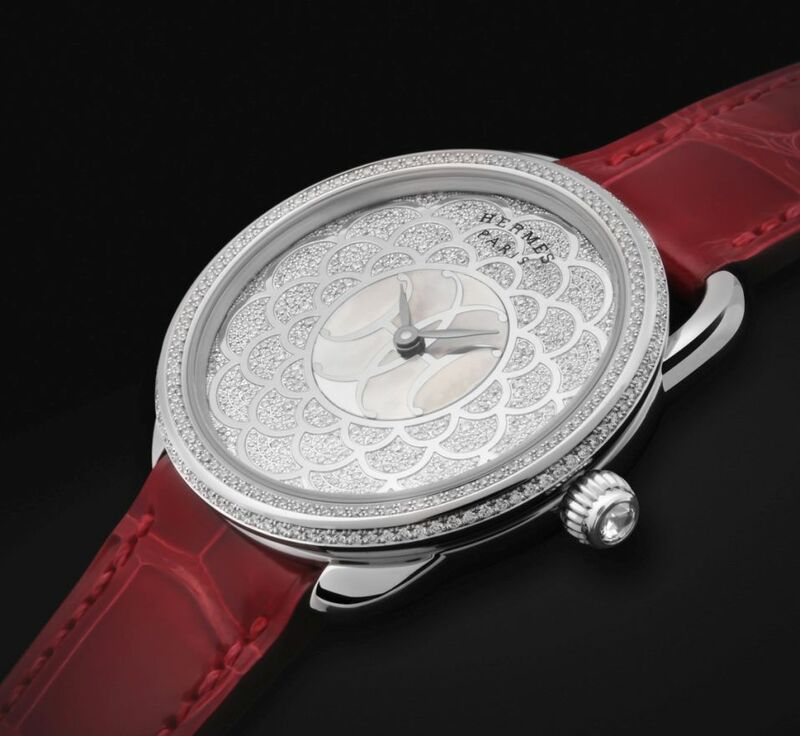 The Arceau watch, designed by Henri d'Origny in 1978, highlights two crafts in a new creation imbued with the Art Deco spirit. 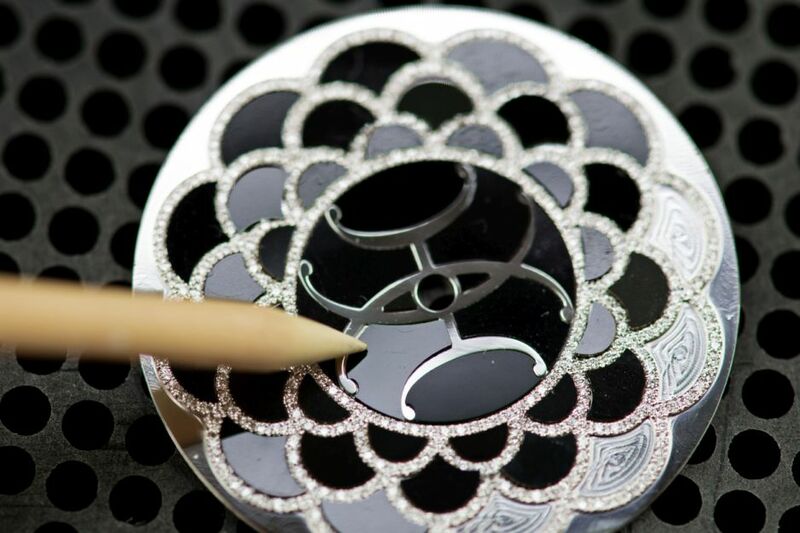 Crafted from mother-of-pearl marquetry and set with diamonds, a dial with a moving heart reinterprets the H déco pattern of the porcelain tableware: a black and white motif inspired by the ironwork adorning the boutique on Rue du Faubourg Saint-Honoré in Paris. In the center, slender hands sweep over two intertwined Hs, stamped on a mother-of-pearl disc that twirls to the rhythm of the wrist movements. In a contrasting duo, the black version is lit up by gemset hoops; while the white version, paved with 432 diamonds, is marked with arched gold decorative fillets. 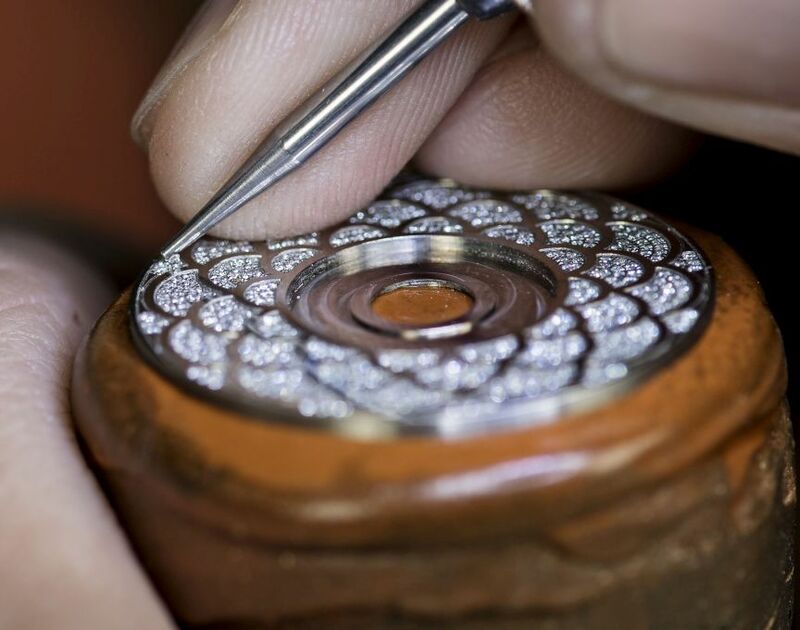 This meticulous work accomplished by the Hermès artisans requires two days of work for a single dial. 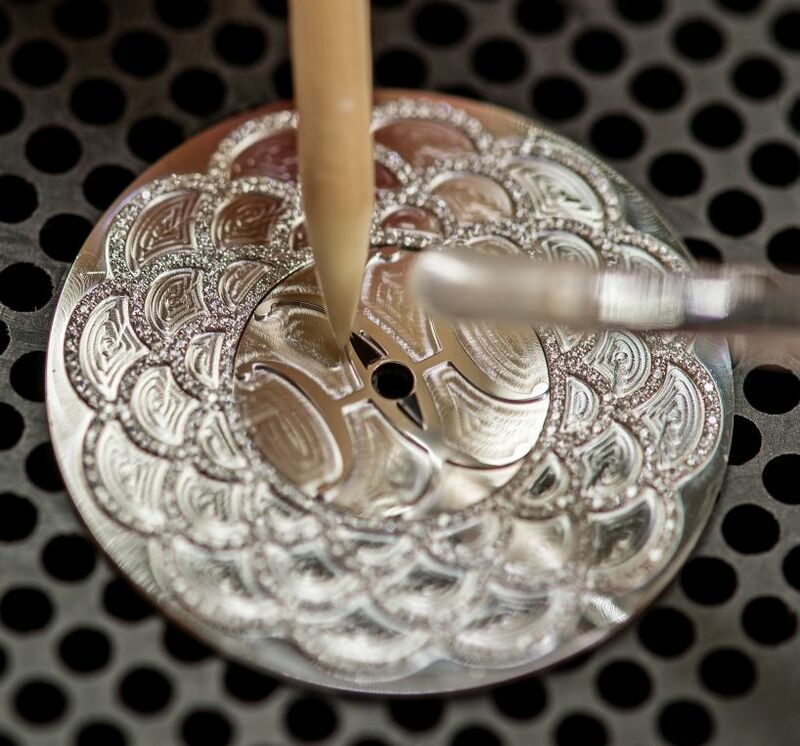 The white gold base is first sculpted in preparation for the mother-of-pearl inlay, and then polished. 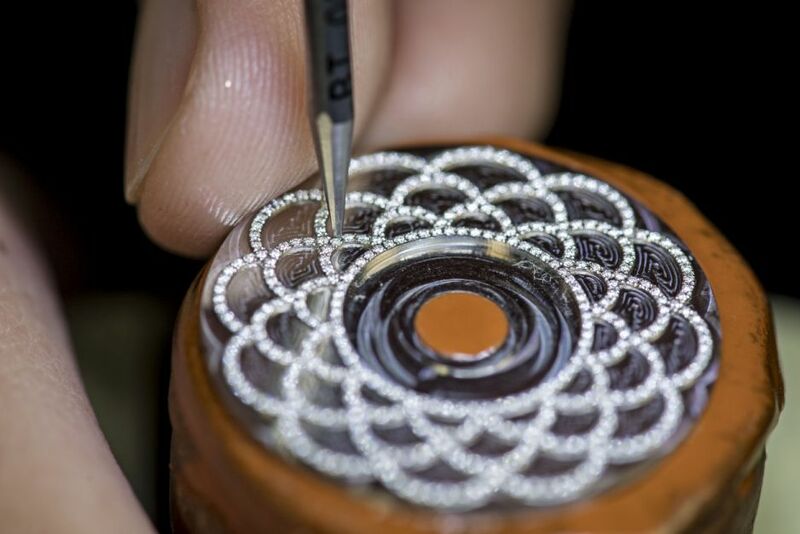 The mother-of-pearl artisan carefully puts in place each fragment of the motif cut to just 0.2 mm thick and the gemsetter finally adorns it with several hundred diamonds. 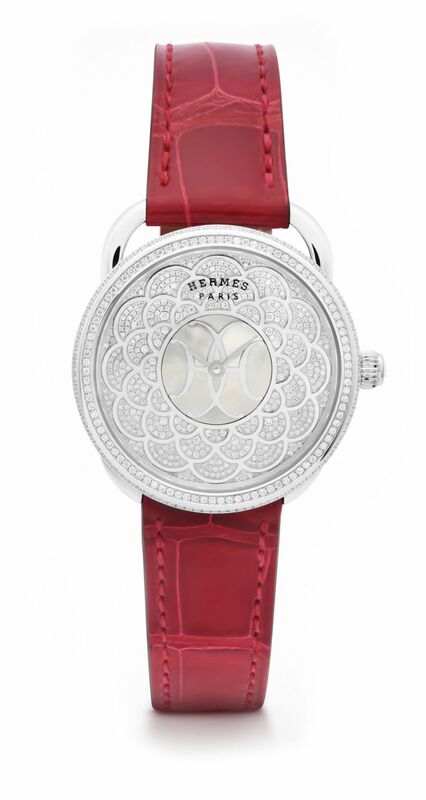 The case, in 18kt white gold, measures 34mm. It has an AR-coated sapphire crystal, a sapphire display back, and it is water resistant to 30 meters. It is set with 198 diamonds. Crown set with a rose-cut diamond. Asymmetrical lugs. Movement is the Swiss automatic Hermes in-house caliber H1912 with 28 jewels, 28,800 vph and a power reserve of 50 hours. 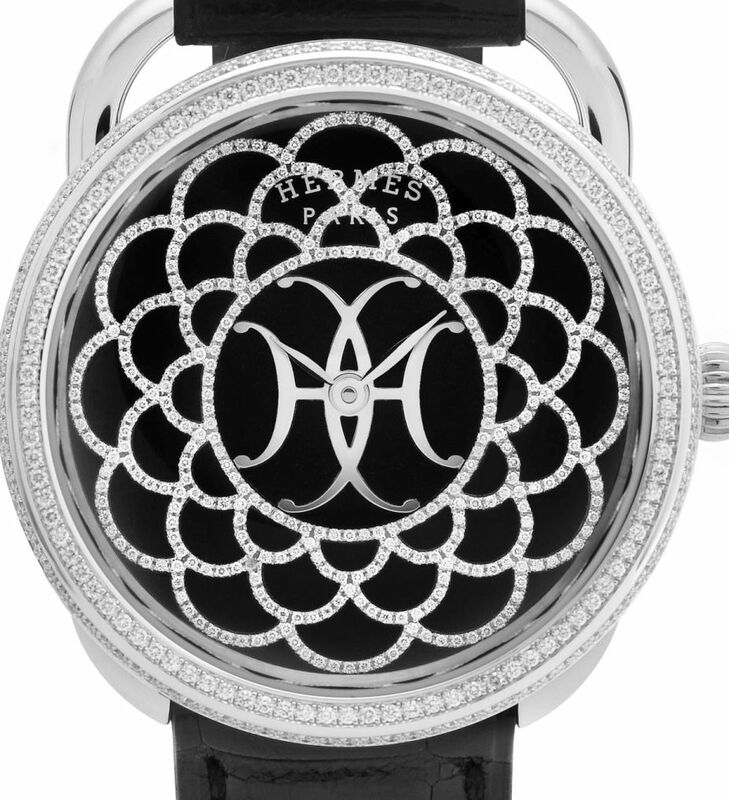 The white gold dial is set with 372 diamonds, H déco motif, and black mother-of-pearl marquetry, or set with 432 diamonds, H déco motif, and with white mother-of-pearl marquetry. 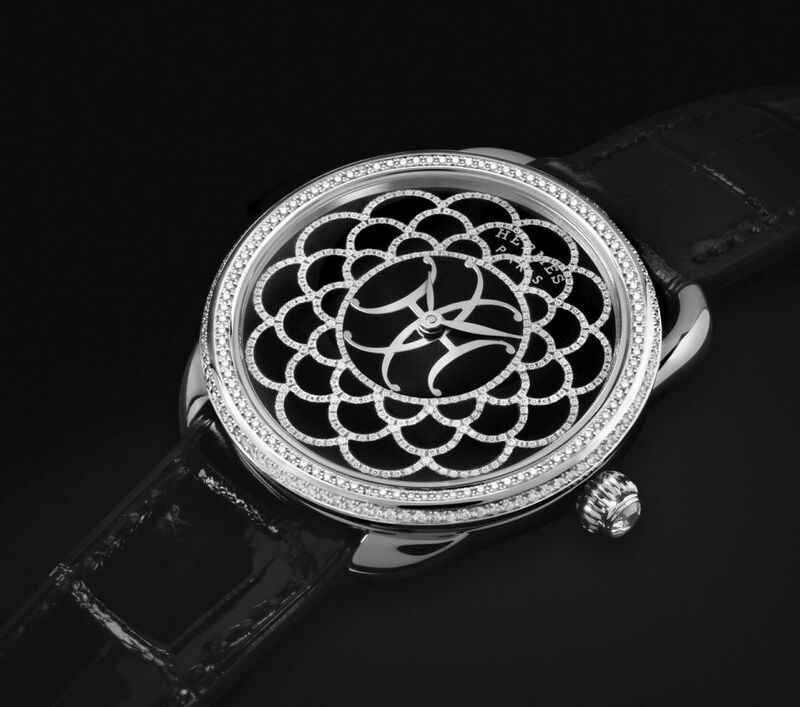 It comes on a black or ember alligator leather strap with an 18kt white gold buckle.